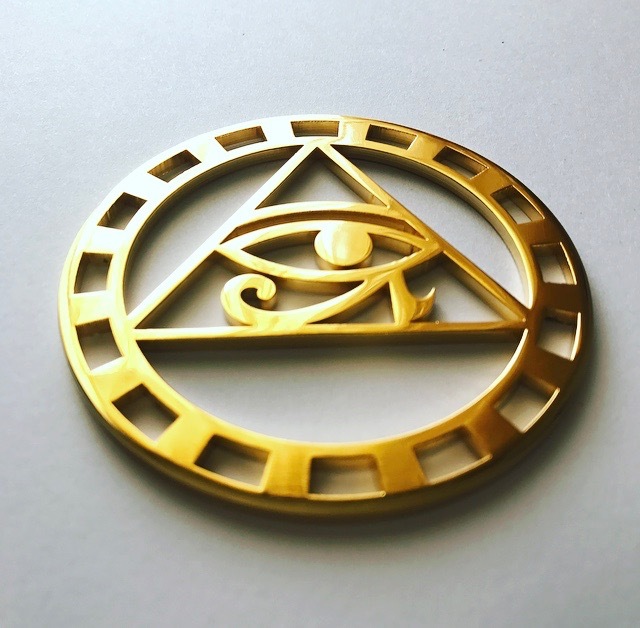 The Eye of Horus is a 3.3 inch (8,5 cm) diameter handcrafted Tool that is Gold 24k plated. The Eye of Horus also known as The Eye of Ra, is an ancient Egyptian symbol, of protection, health and sovereignty. The Eye was a representation of the goddess Wadjet, protector of lower Egypt, and after the unification of the two kingdom, she became the patron of Egypt, and the eye became a symbol of royal power. The eye of Horus symbol also represents God within everything. 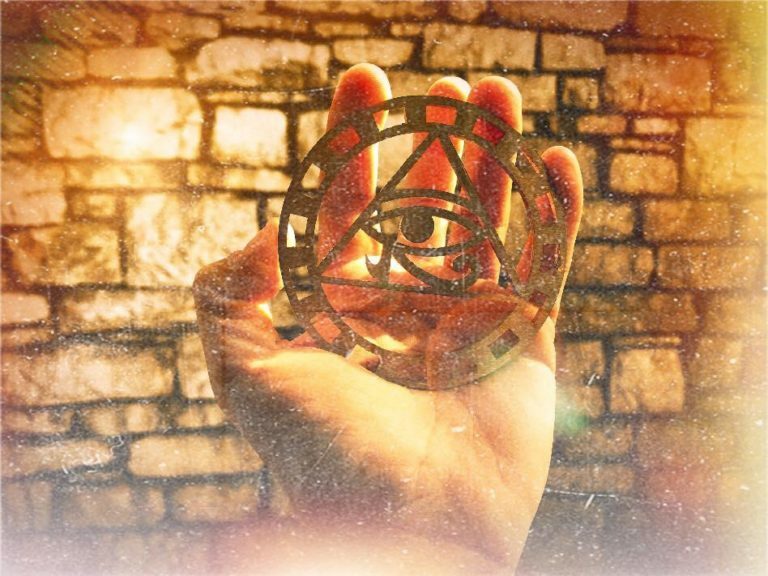 The triangle around the eye of Horus is a symbol of creation. 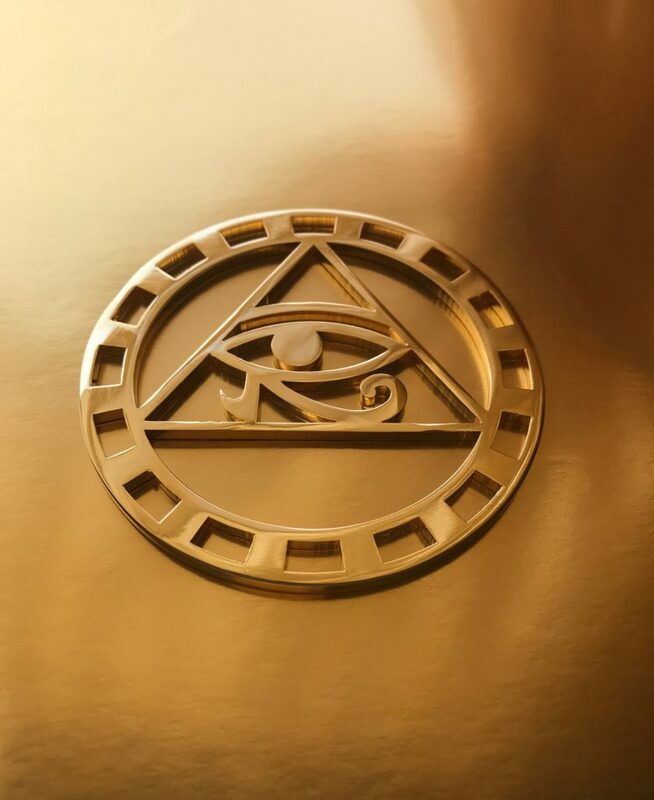 The composition of the eye of Horus inside the triangle represents the cosmic unity that cannot be grasped with our six senses but exists in all of nature. 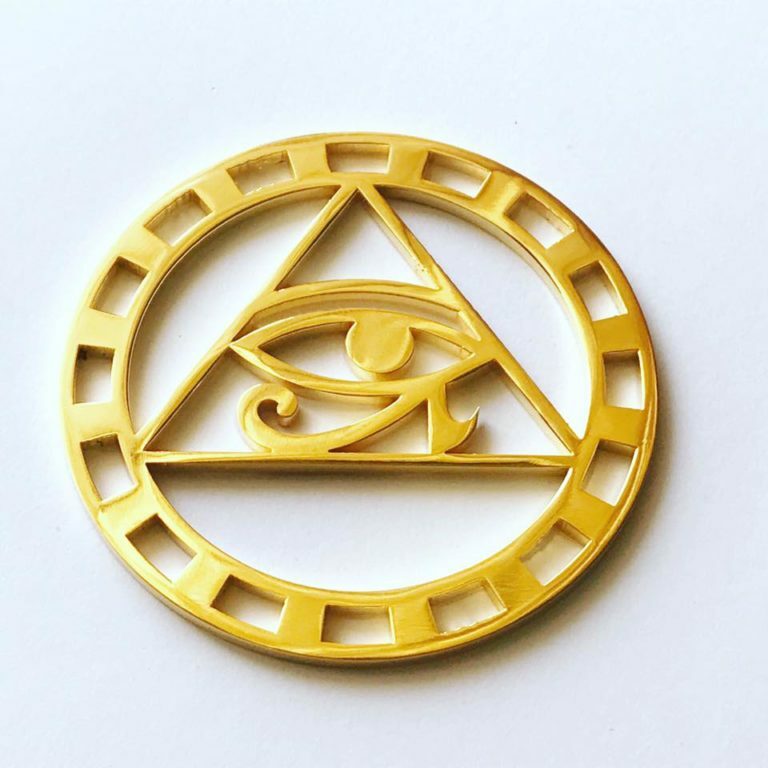 The Eye of Horus Tool is a tool for protection, abundance and good health.